Okpa di oku, Okpa di oku, Okpa! Okpa!! Okpa!!! If you are travelling to Enugu, Nigeria from Onitsha, Lagos etc, anywhere from the west of Enugu, these shouts from Okpa sellers will remind you that you are approaching Enugu. 9th Mile Corner in Ngwo near Enugu is well known for the special Okpa that you can trade your valued possession for. 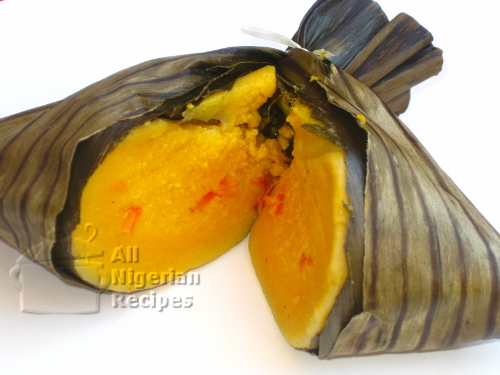 The Okpa is so good that many people have tried severally but failed to replicate the unique taste in their own homes. 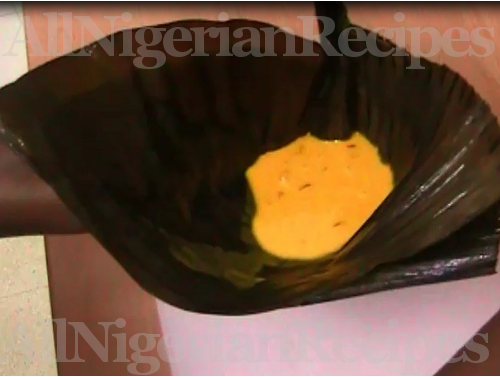 But the secret to making the best Okpa is to use as few ingredients as possible because okpa beans (Bambara Groundnut or Bambara Beans) have a natural delicious flavour. This flavour is ruined when people start adding lots of seasoning to the meal. Other names for Okpa are Igba and Ntucha. 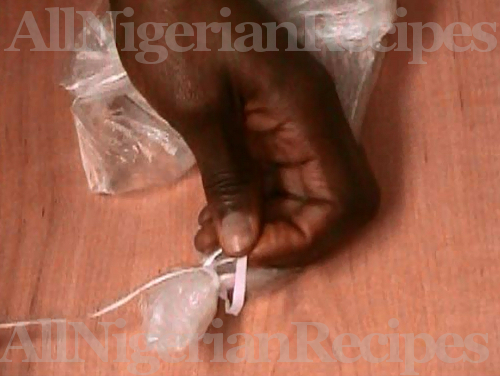 In addition to the wrappers below, you will also need a strong food safe string/twine for tying the wrappers. 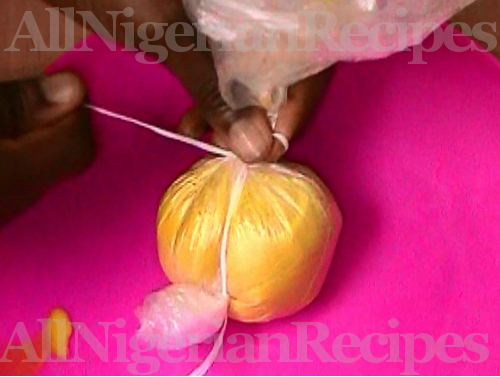 I use the strings from the big Nigerian rice bag, you know, the 50kg bags of rice. I advice that you use bowls as a last resort because Okpa needs to be completely immersed in hot boiling water for an even texture when done. This cannot be achieved with bowls. 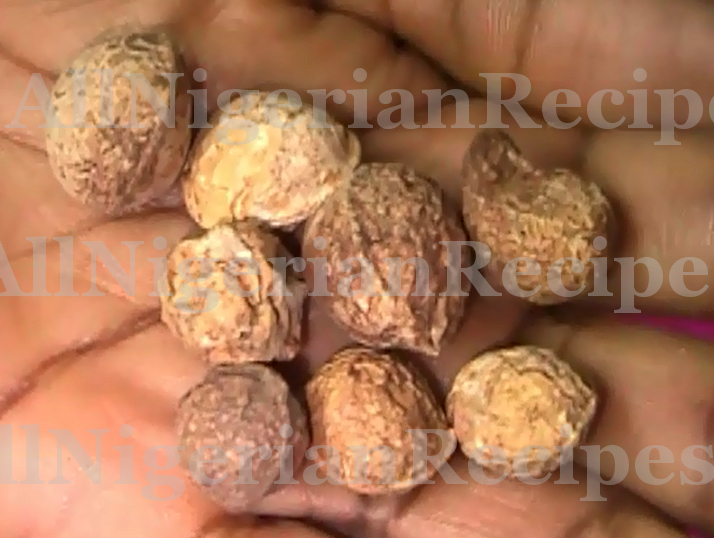 Okpa beans is known as Bambara groundnut or simply Bambara nut. In some parts of the world, it is known as Jugo Beans. There are different species of Okpa. 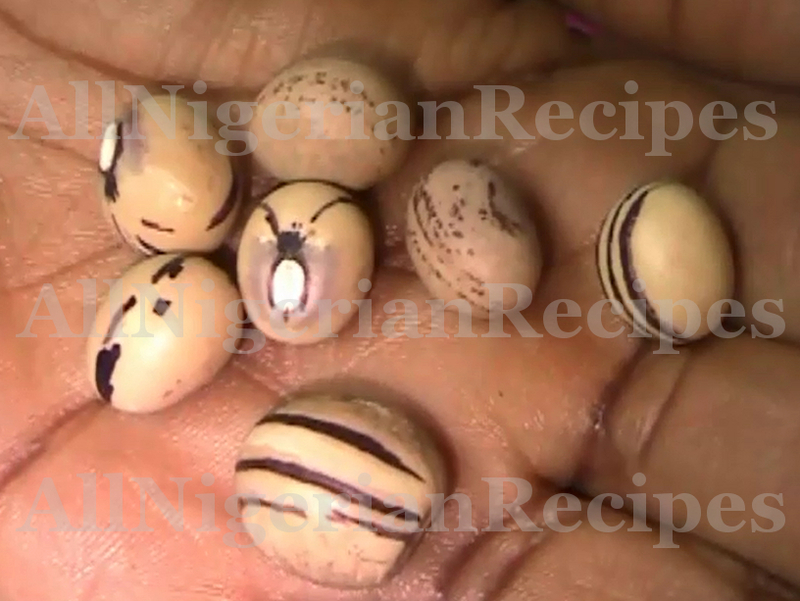 It comes in small pods which you crack open to release the seeds. The seeds are very hard and only special heavy duty industrial grinders can easily grind these seeds into powder. So, this one is not a job for your kitchen dry mill. If you live outside Nigeria, you can buy Okpa flour on Amazon. 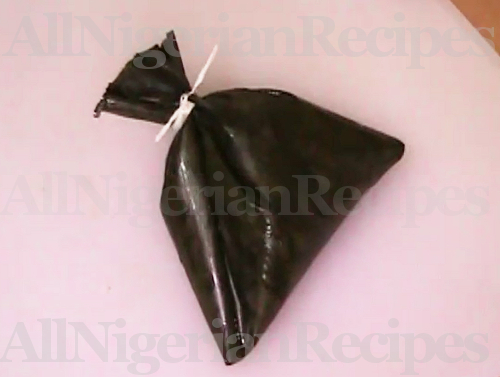 You can also ask family or friends to send you Okpa flour from Nigeria. The customs of most countries will allow it because it is dry powder. 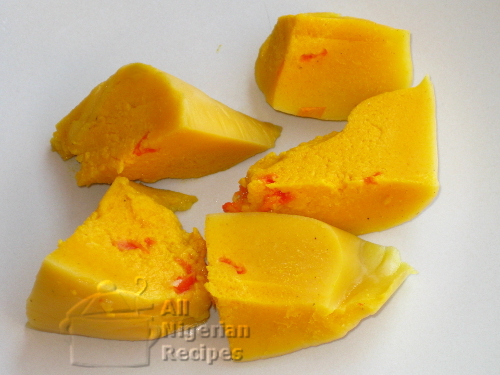 You need enough oil to give the okpa a popping yellow colour and to improve the taste. Okpa does not need much seasoning so the ingredients listed above are all you need. Onions and crayfish ruin the natural delicious flavour of okpa. 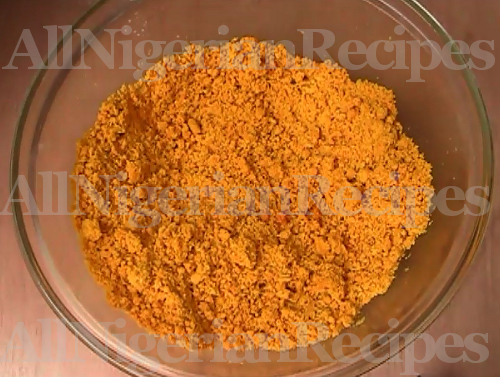 The Okpa mix may seem watery but 1.2 litres of water is the quantity of water you need for the perfect Okpa texture. If you add much less water, you will end up with rocky Okpa. Prepare the banana leaves by washing them in plenty of salt water. If you have a banana/plantain tree in your backyard, you need to wilt the leaves by passing them over a low flame, then leave them to dry up before using them. 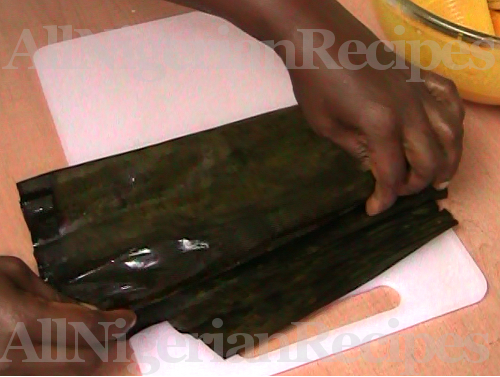 You cannot wrap Okpa with fresh banana leaves. Slice the habanero pepper into small pieces. Prepare 1.2 litres of lukewarm water. Sift the Okpa flour into a big enough bowl. Add salt and the crushed stock cubes. Mix very well. Add the palm oil. 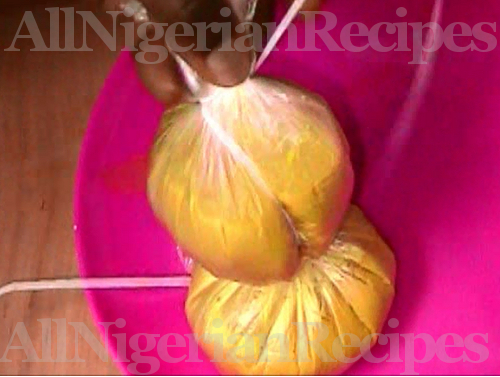 Mix the palm oil and flour very well till the palm oil is well incorporated into the flour. You will have a nice even yellow colour when done. Pour a generous quantity of water in a big pot and set on the stove to boil. Add the sliced habanero pepper. Check for salt and add more if necessary and it's ready to be scooped into the wrappers! Now the water in the pot should be boiling. If not, wait for it to boil and add some spare wrappers or plastic bags before moving on to the next step. 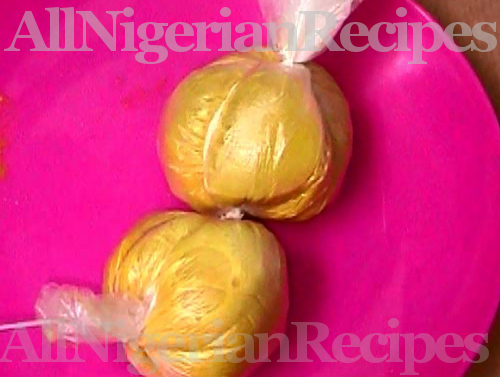 These wrappers and plastic bags act as a base for the Okpa wraps. Now to a major step: wrapping the Okpa! 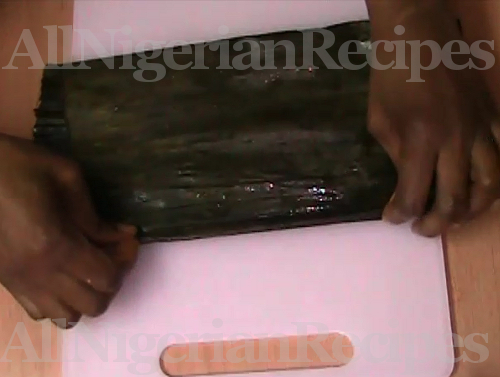 In the video and images below, I showed 3 ways to wrap Okpa: 2 with the banana leaves and 1 with plastic bags. Hopefully the images and explanations make sense but if you really want to master wrapping the Okpa, watching the video is so worth it. Go to a cyber cafe if you can't watch it on your phone/gadget. Some things just can't be adequately explained in writing. 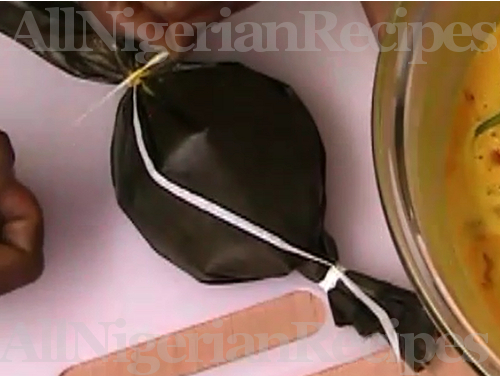 After tying one end of the banana leaves as shown in the video and image links below, stir the okpa mix very well and scoop into the leaf/plastic bag. 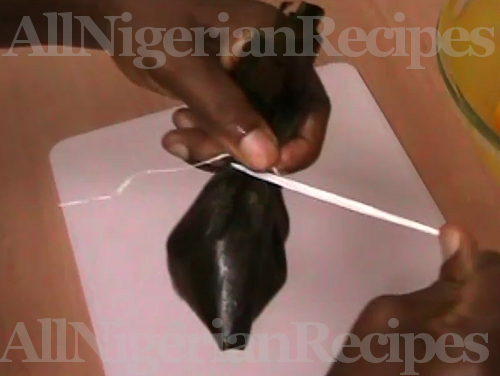 Tie the other end with a string and place the wrapped okpa in the pot of boiling water. It is important that the Okpa is completely immersed in the hot water. Repeat the above step for the rest of the mix. Make sure you stir the mix, scoop into the wrapper, tie with the string and put in the pot of boiling water before wrapping another one. When done, cover the wraps with more leaves or plastic bags. Cover the pot and start cooking medium to high heat. Cook for at least 1 hour before checking it. 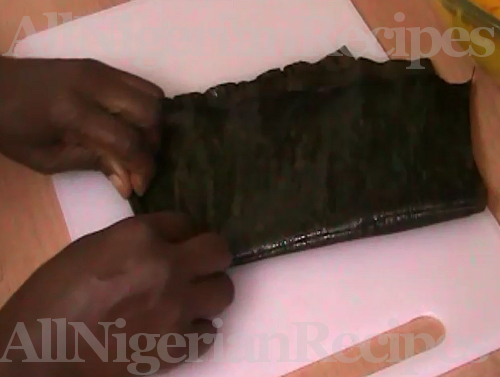 The Okpa is done when it is solid all over. Click on the links to view images. 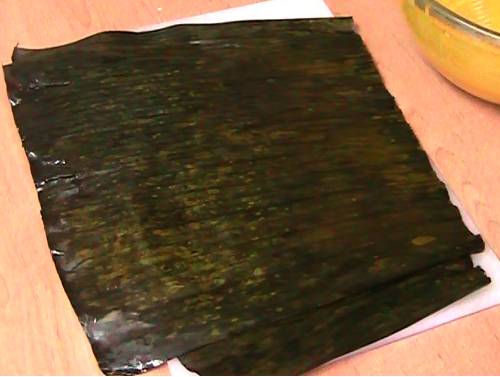 Place 2 sheets of banana leaves on a flat surface. Fold one end to meet the other (vertically). 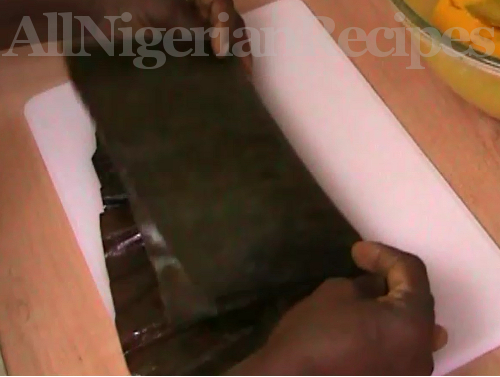 Roll up the open end like a mat till you have enough fold to prevent a leakage. Gather one end together and tie it up securely with the string. Stir and pour the mix into the bag. Tie up the other end and it is ready to go into the pot of boiling water. Fold it into 2 (horizontally). Roll up one the open end like a mat till you have enough fold to prevent a leakage. Pick it up and place the pointed end in the cup of your palm. Fold the other end like a mat and gather the only open end together and tie it up securely with the string. And it is ready to go into the pot of boiling water. 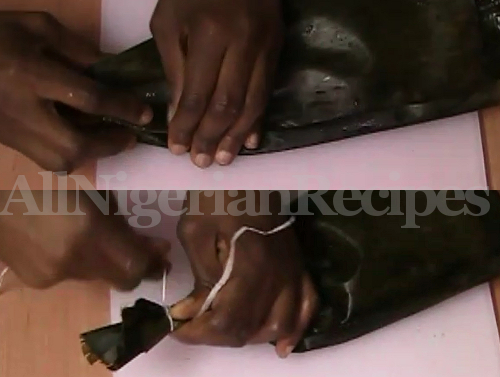 You can simply scoop the okpa mix into plastic bags, tie it up and place in the pot of boiling water but this is how to get the classic Okpa shape when using plastic bags. Double the plastic bags and tie the end with a string. Stir and scoop the mix into the bag. Tie it about half way up the bag. Stir and scoop the mix into the second half of the bag. Tie again and it is ready to go into the pot of boiling water. For breakfast, serve with cocoa drink (Milo, Ovaltine drink), Akamu or Ogi, custard meal or oatmeal. 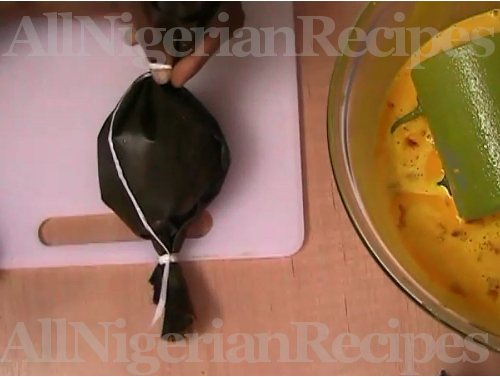 For lunch or dinner, serve with soaked Garri (asoki). You can also eat it as a snack with a chilled drink.